0 Comments Published by KL Ocs Kid on Monday, October 1, 2007 at 3:55 PM. Rick Parry, the reds chief executive, today backed Rafa Benitez and insisted that despite the ownership change -Liverpool’s board will never seek to make footballing decisions over the head of the current manager. 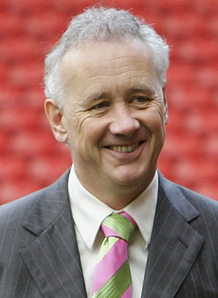 Only last season a Liverpool director, Noel White, was removed from the board of the football club after making tactical criticisms of Benitez. At Chelsea this season increasing pressure from the board on team affairs, including the hiring of a Director of Football, is believed to be to blame for Jose Mourinho’s departure. Rick Parry’s comments today suggested that Liverpool will continue with the system that has held firm since the days of Bill Shankly. “Rafa has got our complete backing. He is as committed as the rest of us are to winning trophies. “We are entirely happy with the way things are going and the direction we are taking. Long may that continue.